The camp focus will be on how to become a more efficient athlete with an eye to being optimally prepared for this year’s races. Technical coaching will be provided in all 3 disciplines. Triathlon specific yoga sessions will be incorporated to help with all-round conditioning, mental focus and recovery. Discounted rates for athletes attending both this camp and the one the previous weekend. Video analysis of your swim technique. Video analysis of your run technique. A bike skills session to improve your handling and confidence. Drills and training ideas to improve run technique. Yoga sessions specifically designed for triathletes. 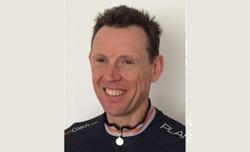 Coaches: The head coach of the camp will be Jack Maitland - 17 years of full-time triathlon coaching experience with elites and age-groupers. The yoga sessions on the second weekend will be taught by Kirsten Steffensen - many years experience of teaching yoga to athletes. Also coaching will be Danica Spiteri - a sports medicine doctor specialising in running technique and Nina Zammit who will lead a nutrition workshop. Jack was awarded 220 Triathlon Coach of the Year in 2011 and has been recognised as the coach to both Alistair and Jonny Brownlee.